So what’s an awl? 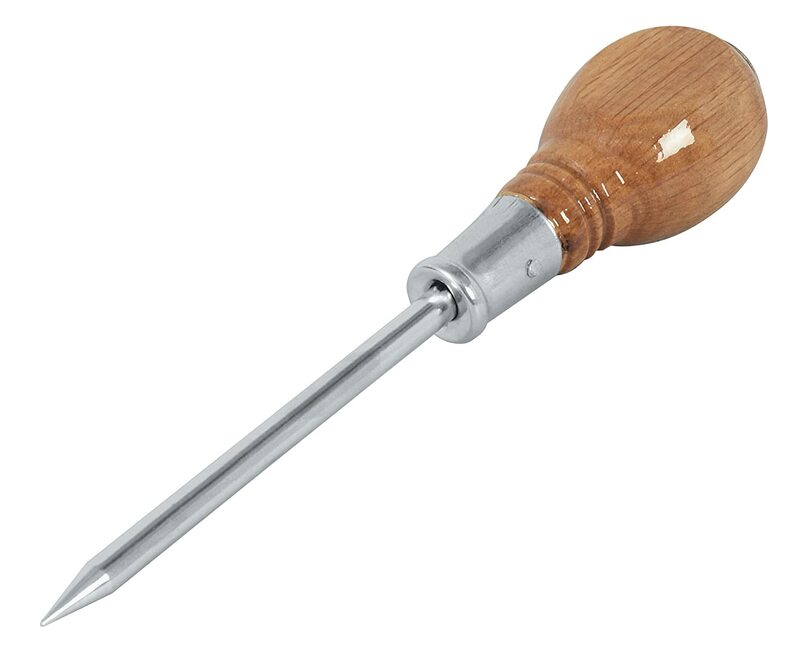 Well it’s a small pointed tool used for piercing holes in leather. It could pierce through an ear, sure, but only after some forceful pushing and a lot of pain. But it’s saying more than that too. Jesus said, “I am the door” (John 10:9). Isn’t that amazing!? Six centuries before Christ, this passage proclaims Him! The slave was pierced to the door to demonstrate that we must be pierced to Christ. To be a Christian is to say, “I love my Jesus, and I’m staying right here.” So we lean our ear beside the door, and willingly accept the awl. It hurts, sure, but if the gospel doesn’t hurt we probably aren’t marked by it. We must be crucified with Christ (Galatians 2:20). Doesn’t sound pain-free to me. Here’s some good news, though. Jesus isn’t asking us to go somewhere He’s never been. No, “He was pierced for our transgressions, he was crushed for our iniquities; the punishment that brought us peace was on him, and by his wounds we are healed” (Isaiah 53:5). We don’t serve a King who stayed where it was cozy and comfortable. He came. And He was pierced for us. Not just in His ear, but in His hands, feet, and side. Well, let me put it this way: Everybody’s a slave to something. But what about when our new Facebook picture only gets a few likes? Or when someone else gets the award or promotion we were hoping for? Or when we’re in a thoughtful conversation and feel like we don’t have wise things to say? I think if we gave our lives an honest look, we’d be amazed at all the unfreedom. Paul declares, “we are slaves to the one whom we obey” (Romans 6:16). Slavery isn’t an option. Your only option is whom you will obey. So choose Jesus. His yoke is easy and His burden is light. He’s the only Master who emptied Himself, submitted to death, and accepted the awl. It will be painful, sure, and your life will be permanently affected. But why leave? Beyond the door leads only to more slavery. Here, you will be free indeed. They that refuse to read and study the Old Testament will never adequately-understand the New Testament, because our Lord’s life and ministry were in the context of the Old Covenant. He fulfilled the Old Testament. The New Testament writers leaned-heavily upon the Old Testament as well. We will also not understand the life and culture of the Jews unless we study the Old Testament, so many things we read in the New Testament will make little sense to us. That is why my teachings in John’s Gospel rely heavily on the Old Testament for their historical-context, because we need to understand the context in which events took place. Previous Previous post: So Where Does It Say That? Next Next post: Do You Scuba Dive?